(18-01-2014 05:02 PM)gords1001 Wrote: Cool. 2.5 sounds fun, twenty billion wraps to get up to 1ohm? Yeah, that'd need a kilowatt or three to make it heat up. Great for ten gallon tanks though. 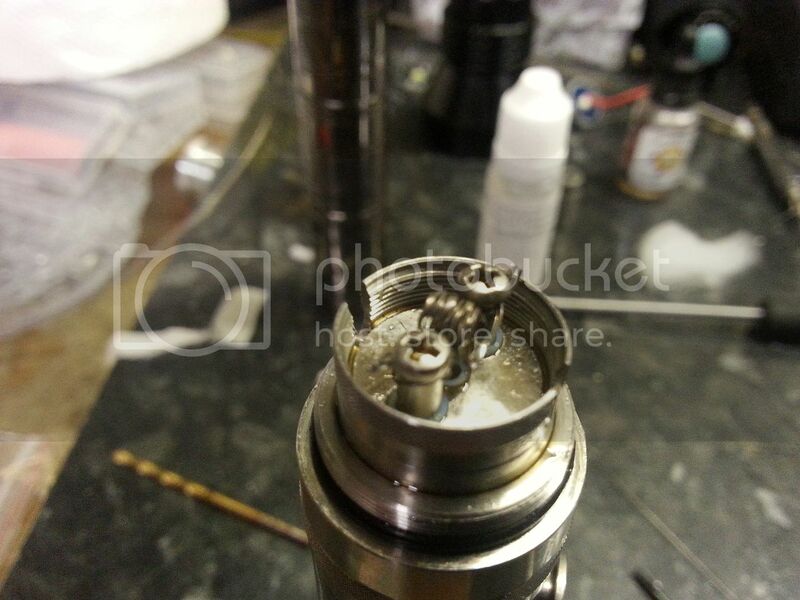 Just made a 1.3 ohm coil on my Igo-L it's a lovely vape. I think this is 30 gauge which is what I've been keen to try. Will definitely get some now. 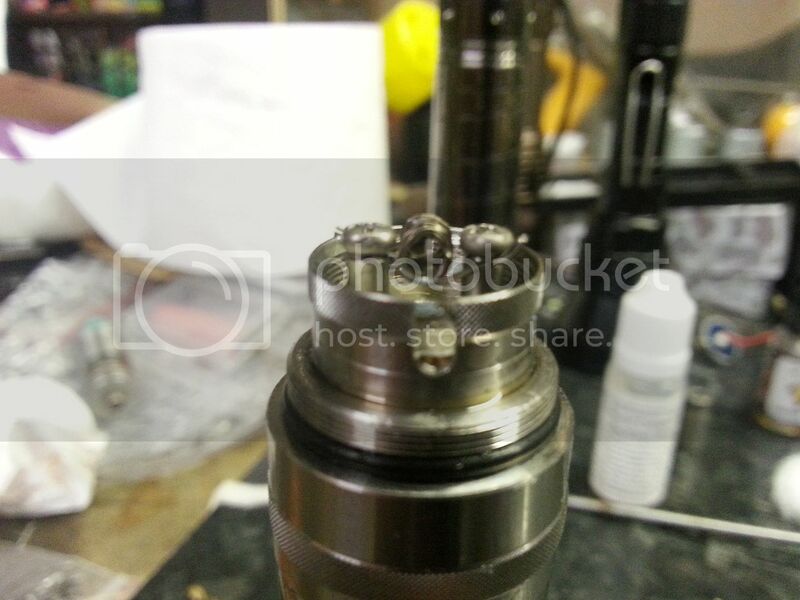 Couldn't make quad chimneys work, this came out at 2.6ohm, using 16 wraps of .25 kanthal on a 2mm screw driver then bending/forming pinching and squeezing to get the shape. Its on a kayfun clone. If you like a real hot vape, thumping throat hit and muted fkavour, you'll like this at 15watts. 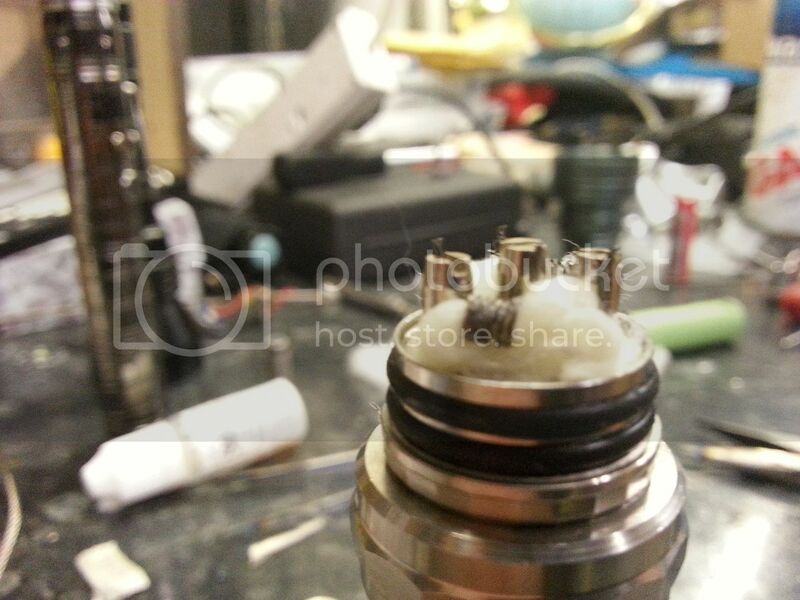 Personally, I know the kayfun can give a nicer vape so its already drained and will be getting recoiled later. It was a worthwhile experiment, I'll probably try a single chimney coil next but I think you can go too far with these things, it took a while to make and the results dont justify the build time. Fun though and if you needed a right kick in the throat, this delivers. very cool. i think i'll try dual verticals on my kayfun lite...I've tried single chimney but not much of a throat hit. 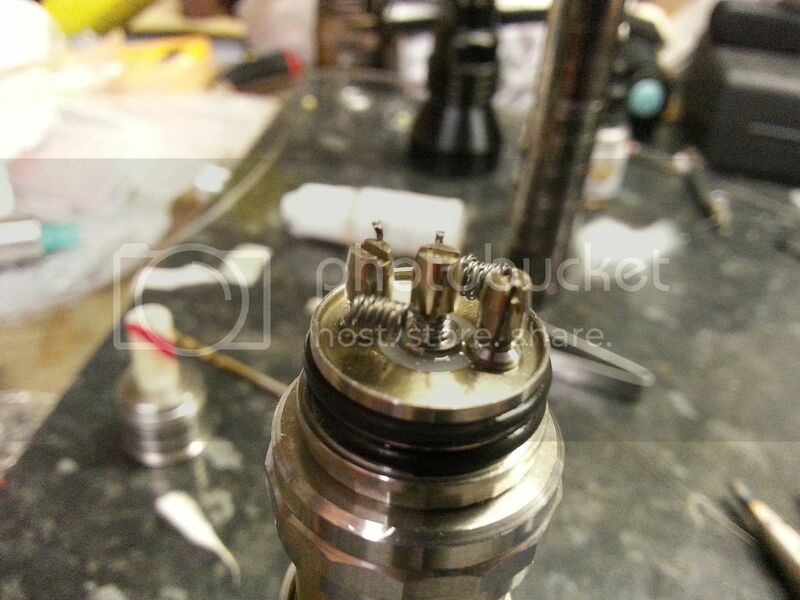 I think dual verticals is about the limit, on that there was far too much exposed kanthal so you were vaping a lot of hotspot, duals should be doable though, I'm still running dual coils in mine and its pleasant enough flavour. Taifun gt. 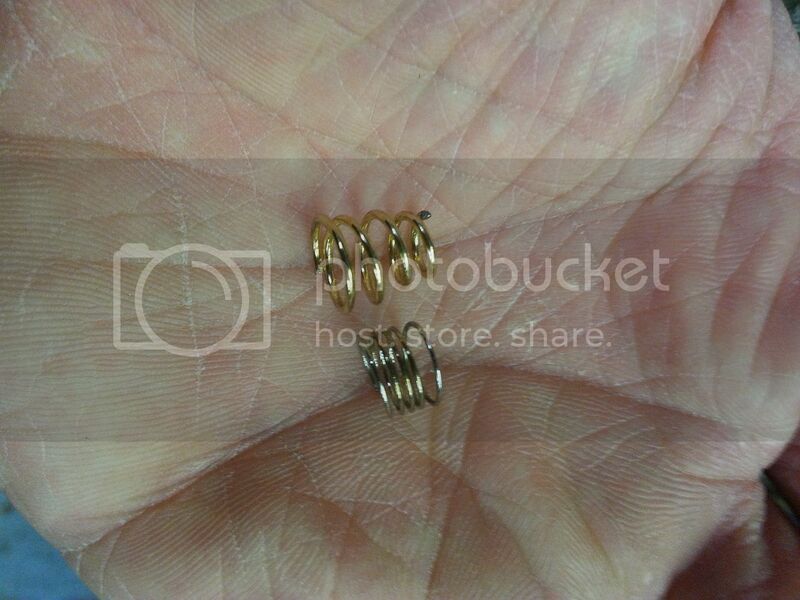 Tiger coil, .5x.1mm ribbon and .25 kanthal twisted, I use a driver that fits in the slots as a mandril so this came in at 1.2ohm, its six wraps, screwdriver is about 3mm or 1/8th. And here's the cotton pre trim. I cut it off about 1/4" proud of the walls then wet it and paste it to the outside of the chamber. I'm using it to test my custard and irish cream blend. So far so good. As an aside, I've had a split in my lip for ages, I had read that this can be drying out caused by heavy pg juice. I'm now mixing at 50/50 and my lip is finally healing up which is nice. I do really like the taifun, even more than the kayfun if I'm honest, the draw is perfect with the reducers removed (1.8mm I believe) and flavour and vapour production is great. 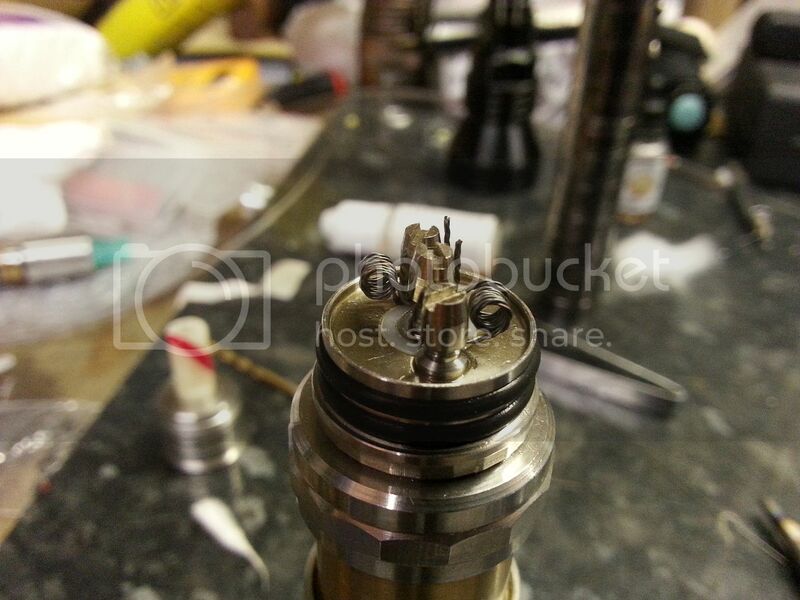 Its also slightly less prone to heating related pressure induced leaking than the kayfun possibly because your forced not to overfill it (don will understand why, you take off the tank and fill it to just below the chimney oring so you have quite an air space when its assembled). Three strands of .25 kanthal, five or six wraps around a couple of clone screwdrivers came out at .2ohm.....warm flavourful vape and testing my samsungs out nicely. 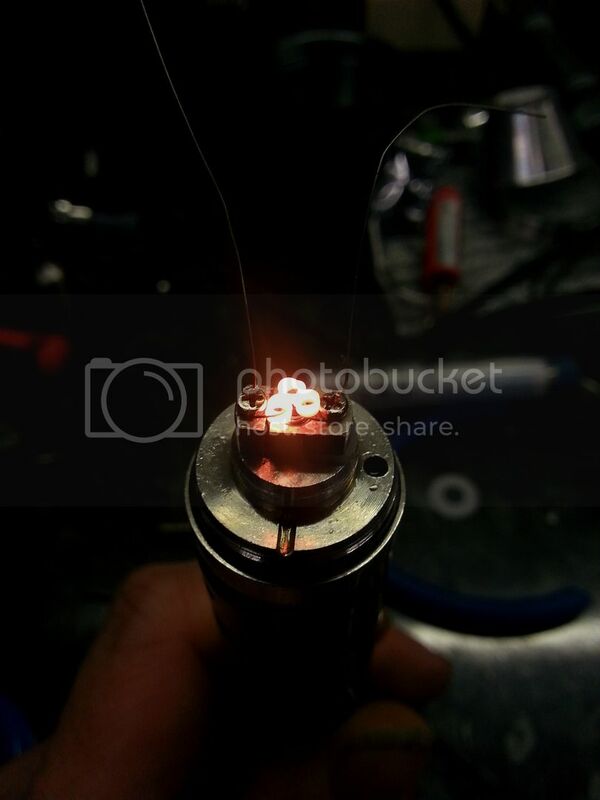 Clone springs dont like to sub ohm....out with the torch building boxes. This one worked but gave a very heavy button. I've modded another to fit, if it collapses I'll stick the big bugger back in.